These scrumptious, purple lovelies are just screaming to be worn with that fabulous, perfect outfit! 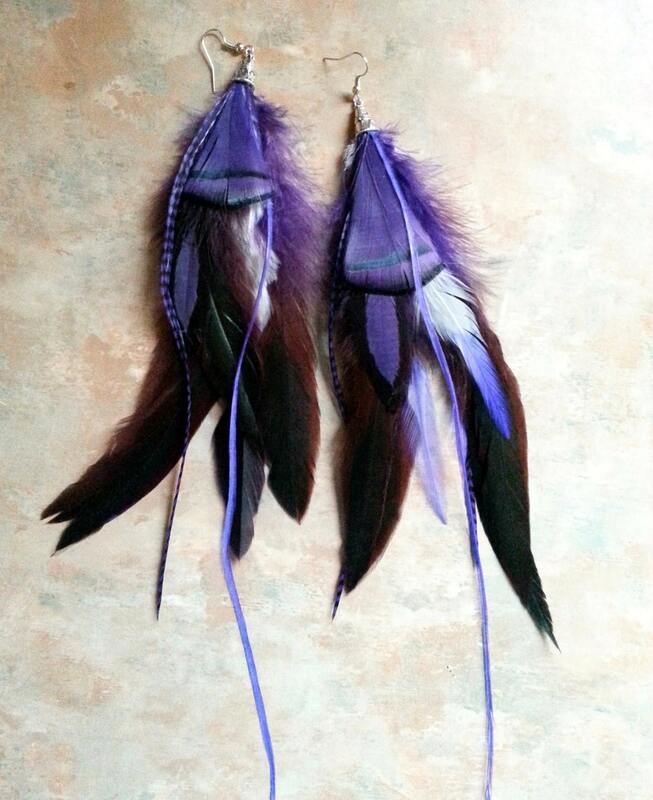 They are made with several different types of feathers including schlappen, grizzly rooster feathers and pheasant feathers. They are held by lovely, decorative silver cones. They are approx 5 inches long....more if you count the very long thin feathers. These earrings are certainly an eye catcher!